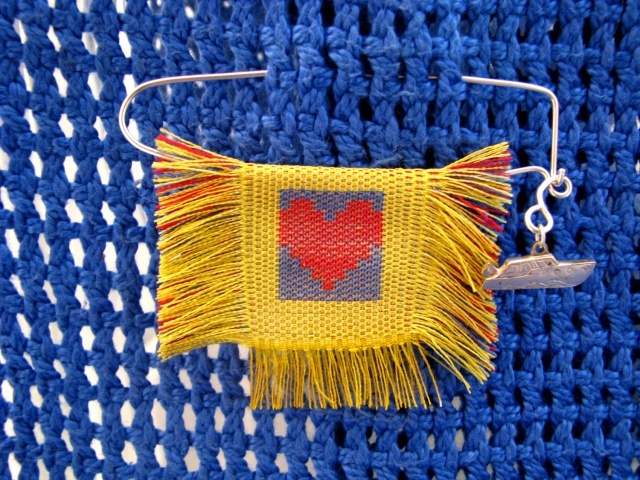 A taquete woven heart from early in my career, combined with a handcrafted silver pin and vintage boat charm. Weaving of rayon thread and polyester warp. Pin is manipulated sterling silver wire Silver pin handcrafted by Barbara Jones.